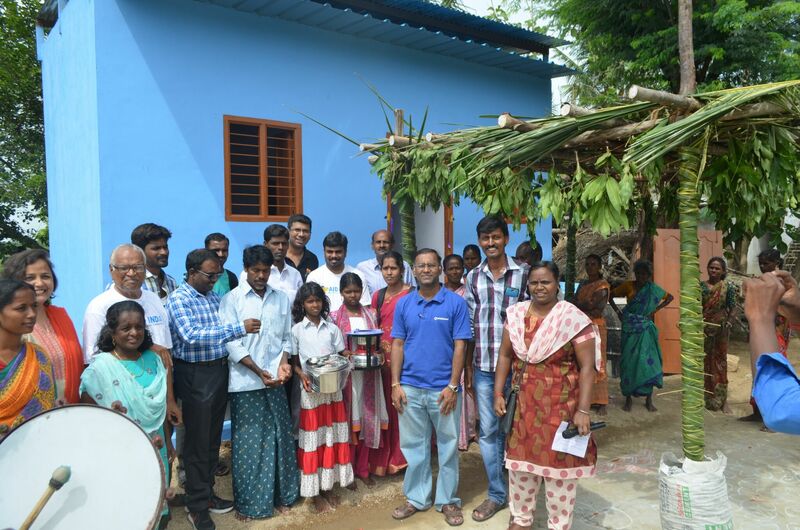 Eureka Homes compact housing project was initiated by Aid India and Bhumi, with the support of Qualcomm India, in Kanchipuram and Thiruvallur districts. 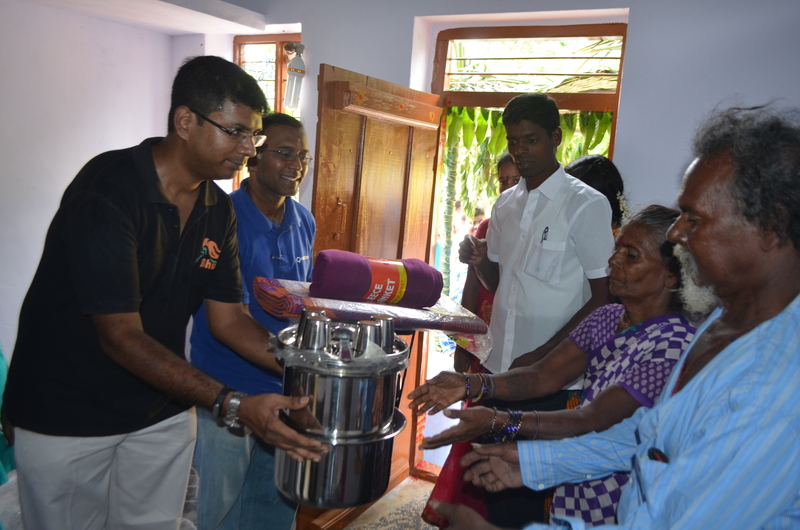 The project was planned to provide a safe abode to the 2015 flood affected families. 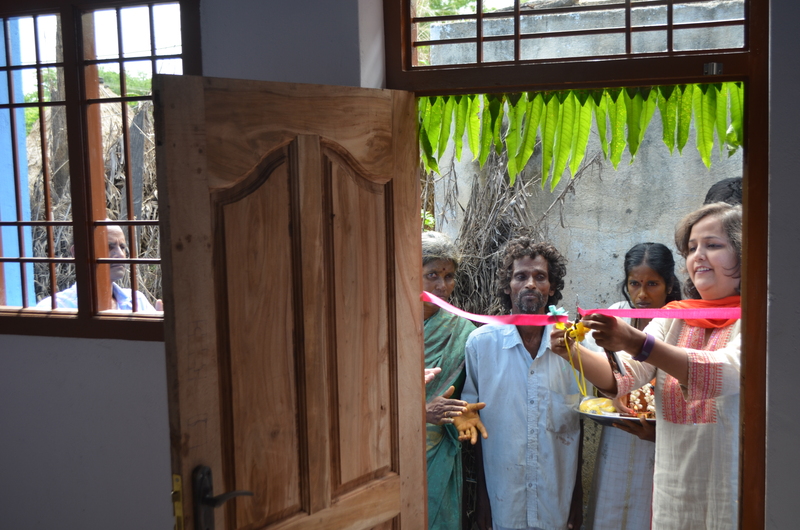 In Thiruavallur district, houses were constructed at Ponpadi and Pattabirampuram villages – 4 homes at Ponpadi and 2 at Pattabirampuram. A total of 20 families have been benefitted by the housing project. The village residents celebrated the completion of relief works in their village. The celebration was honoured by the officials from Qualcomm India and Aid India. 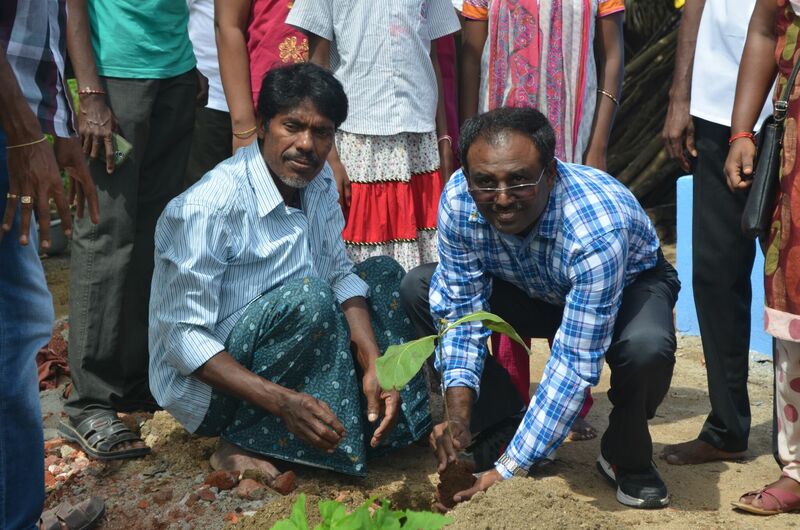 Celebrations included planting saplings, and music and dance by the local residents. All the residents and the officials took part in the celebration with enthusiasm. They were more than happy to beautify and nourish the surrounding area with saplings. As done in other villages, essential utilities were also distributed, which would support their daily need; the gifts included kitchen utensils, vessels, matresses, few electrical appliances. The residents expressed their heartfelt thanks to all officials. Profuse thanks to Qualcomm India for their contribution towards providing a safe living place for the people.